I list this pattern and photograph with considerable reservations. 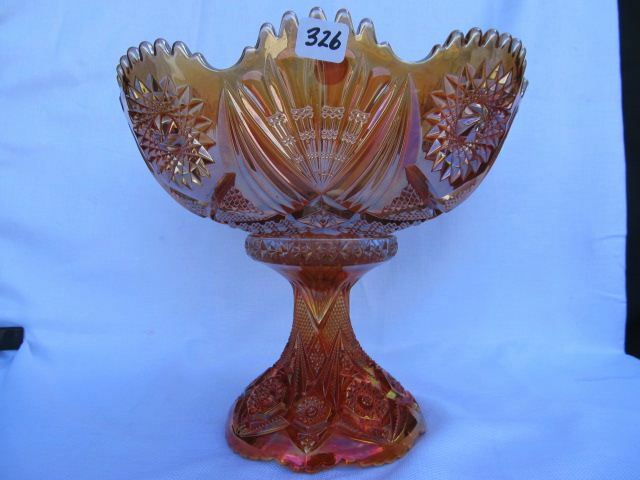 This marigold punch bowl and base sold in 2013 for $350 under the designation of Lancaster North Star. However, it seemed unlike any of the other patterns listed as North Star during a search of Google. 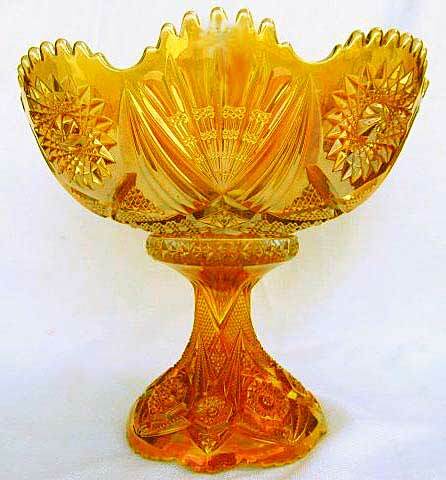 It's possible the bowl is North Star but the base is something else. I leave it to you readers to sort it out.